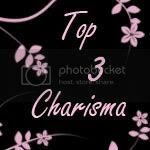 Welcome to this month's Bizzy Bec's Creatalicious Challenge! 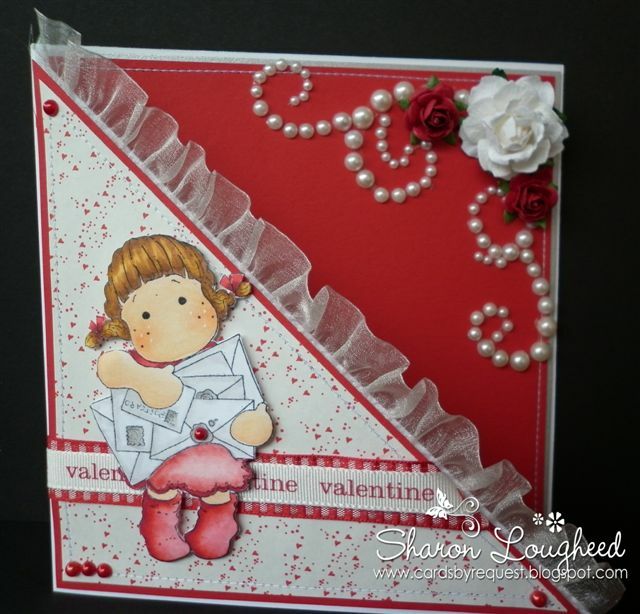 As Valentine's Day is fast approaching the theme this time is Valentine's Day but we want to see ribbon on your card! I've used some paper that I've had forever on this card! It's from The Paper Patch and it has small red hearts and dots. 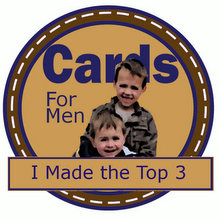 It's teamed with some red, white and silver cardstock, pearls, flowers, 3 different ribbons and a touch of sewing. 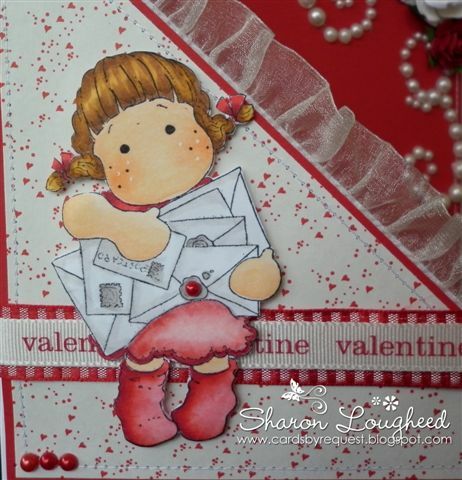 This Tilda was with the Christmas release but she is another stamp that is really versatile! And what a lucky girl she is... just look at all her valentines! 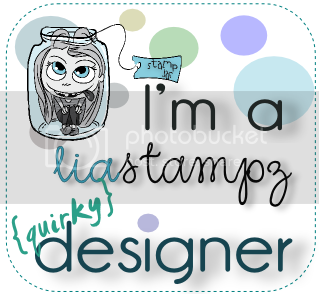 These beautiful Magnolia Stamps are available at Bizzy Bec's and Bec is now taking Pre-Orders for the latest release which is just gorgeous!!! Be sure to check in at Creatalicious to check out the amazing cards by the wonderful DT. Oh Sharon this is gorgeous! I love the pearls and flowers in the corner and the way you've used the ribbon! this card is so sweet. 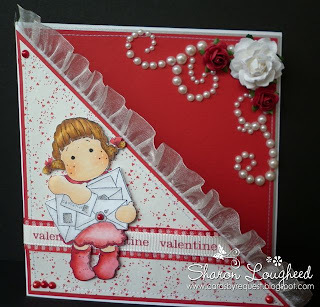 love the ruffled ribbon you used!